North Korean had begun construction of the Haeju Semiconductor Factory by 1989, after the successful trials in semiconductor production at the Pyongyang Semiconductor Factory that started in April 1987. It is unclear when this facility opened, but the plant had been completed by January 1992. Analysts have speculated that semiconductors and other components produced at the Pyongyang Semiconductor Factory have been used in the production of missiles, so this assumption could also be extended to the Haeju Semiconductor Factory. However, North Korea is not self-sufficient in semiconductor production, and Pyongyang's technology level in this area is relatively backward. According to North Korean defector Kim Myŏng Ch'ŏl, North Korea was procuring integrated circuits from the former Soviet Union, Russia, and Japan to be used in rockets, tanks, and submarines while he worked at Man'gyŏngdae Jewel Processing Factory from 1986 to 1993. 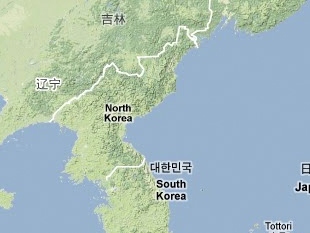 [Note 1: The pro-North Korean General Federation of Korean Residents in Japan (Choch'ongnyŏn) has provided assistance for other computer and information technology facilities, and could have provided assistance for this facility as well; Note 2: Evidence from the interception of the Ku Wŏl San also indicates that North Korea has imported integrated circuits for its missile program]. "Computer (Pukhansangshik:45) Chosun Ilbo, 17 February 1995, p. 27, in KINDS, www.kinds.or.kr. Sŏng Ki Ch'ŏl, "Computer Kaebal Pakch'a/Oegukkisul-Chabon I'ryejŏk 'Hwan'yŏng' (Pukhan'ŭn Chi'gŭm)," Kukmin Ilbo, Wang Sang Han, "Pukhan Computer/'San'ŏp Che 1 Kwaje' Pul'gu. 8 Bit Kŭp'," Chosun Ilbo, 7 September 1991, p. 7, in KINDS, www.kinds.or.kr.